London, UK; Kingston, Jamaica; Crab Key. The only film in the series not to include a "pre-credits sequence", as the opening of the movie begins with electronic noises and the names of the producers displayed. The title sequence is composed of sequences of dots to the James Bond theme. As with Ian Fleming's novel, the central villain lends his name to the title of the film. 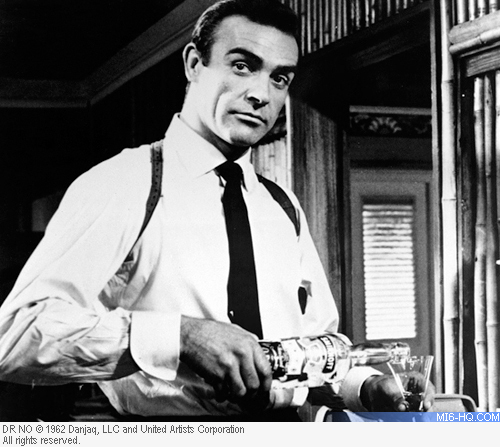 At one point Bond picks a thug up with his left hand and prepares to lay into him with his right. However, he then hits him with his left hand. 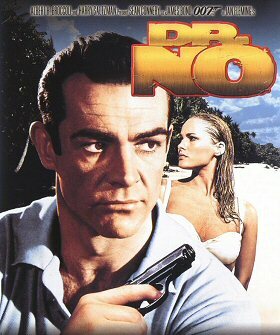 The first time Bond uses a Walther PPK, replacing his preferred Beretta. The ending had originally featured Honey being attacked by land crabs when Bond rescues her. The crabs moved too slowly to be really menacing and the ending was reshot without the crabs. Still photographs of the earlier ending can be seen on the special edition DVD. During the Dent execution, most TV versions omit Bond's second gunshot into Dent's back. Some TV versions shorten the opening scenes to speed up Bond's introduction. In particular a scene featuring a fellow agent arriving at the casino in search of Bond is cut, and the card game with Sylvia Trench begins just prior to the famous "Bond, James Bond" introduction, omitting the lengthy lead-up in the original. Some foreign prints omit the scene entirely. Alternate versions of some scenes were filmed for European markets, including a somewhat more revealing scene involving the character Miss Taro.